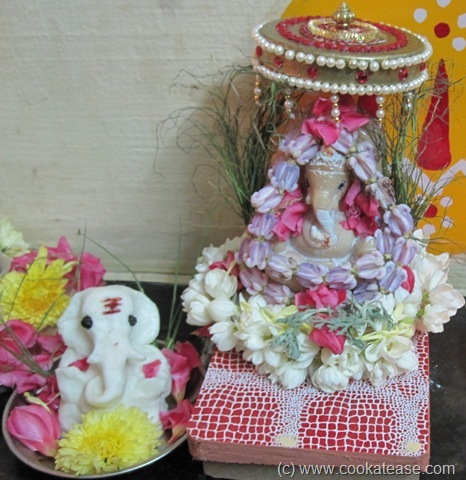 Wish You All ‘A Happy Ganesh (Vinayaka) Chaturthi’. This popular festival of Tamil Nadu is being celebrated today September 01, 2011. 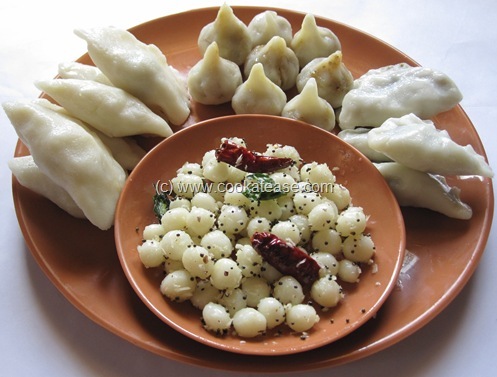 During this festival, as many dishes as possible are prepared to celebrate. 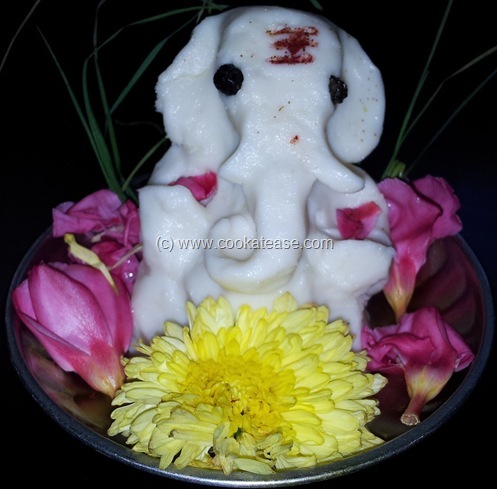 Here is homemade Lord Ganesh with kozhukattai dough. This umbrella for Lord Ganesh is also homemade. I’m a big fan of your cooking. All the same, a quick question. What do you do with the kozhakkattai dough pillayaar after the puja? I immerse the kozhakkattai dough pillayaar in the nearest water source like pond/lake/river/sea as followed for other Ganesh idols. 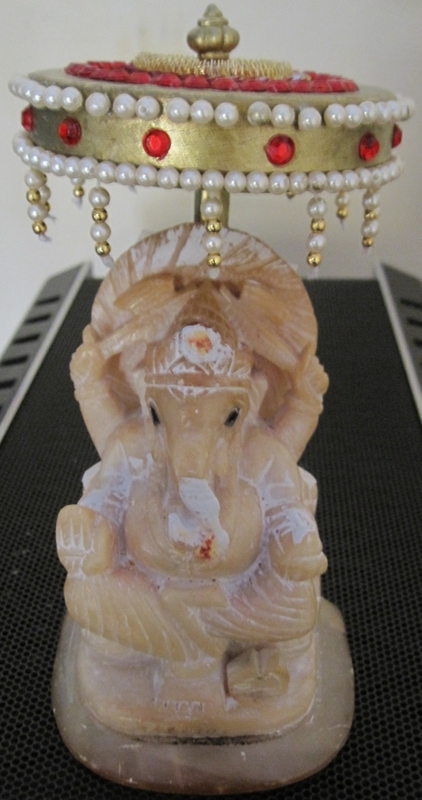 Kozhakattai ganesh is very nice.how did you do it? I really appreciate your efforts and thanks for sharing this fascinating blog. I like Indian cooking you can send me recipes. I enjoy Indian food and want to try to learn how to make it.